When Should You Call a 3PL? October 5th, 2017 by admin in 3PL, Blog, Fulfillment Comments Off on When Should You Call a 3PL? 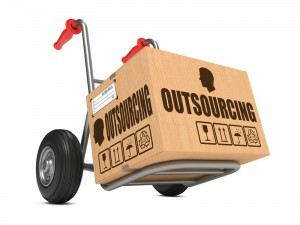 It’s a fact, most companies wait too long to call in the services of a third-party logistics partner. Long after fulfilling orders has gotten in the way of their ability to focus on the daily needs of their business and usually after several complaints from customers. Every business is different but if you answer yes to any of the following questions then it is time to make the call, one that can save your sanity and offer customers greater satisfaction! Are you fulfilling more than 10 orders per day? That’s usually the volume at which you should start to consider talking to a 3PL. By contracting out to fulfillment partner, you can rest assured that your orders will be shipped daily, your inventory will be tightly controlled and you can focus on growing your business. Many companies don’t consider storage as a part of their overall fulfillment expense. If your high end office space is packed with product, if you are spending money on renting a storage facility or if you are storing inventory in your garage, get a quote for a third-party logistics provider and compare. You might be surprised to learn that a slight increase in expenses could better support your business. Is your business about to spike due to a marketing campaign? There is no such thing as bad publicity – unless you underestimated how many people would visit your web site and order your product after a well timed marketing campaign or media blitz! Getting your name on the street is key to a successful business, but what happens after can wreak havoc on customer satisfaction and your bottom line. Prior to spending money on expensive advertising, marketing or media campaigns, ensure that you have the ability to handle a spike in customer interest and ordering. Failure to get your products to your customers in a timely manner could result in a lack of repeat business. Outsourcing to a 3PL will ensure you have ample inventory on hand and that you have the man power available to deal with a large spike in orders. What Does my 3PL Actually Do for Me? Eco-Friendly Direct Marketing – an Oxymoron? Innovative Response Marketing Inc. is Canada’s largest and fastest growing direct mail marketing agency specializing in the direct mail, printing, fulfillment services and providing marketing expertise to clients across the GTA including Toronto, Mississauga, Oakville, Burlington, Brantford etc.